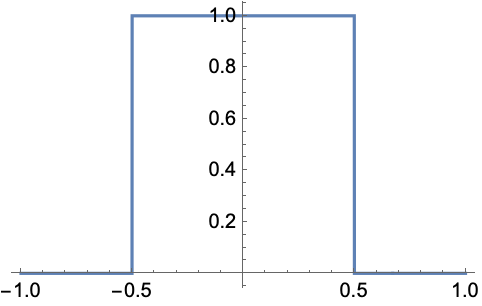 represents the box distribution , equal to 1 for and 0 for . 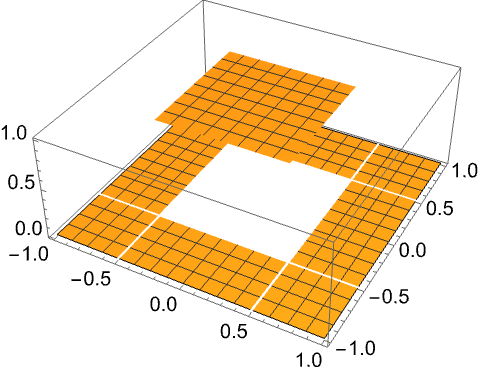 represents the multidimensional box distribution which is 1 if all . HeavisidePi[x] returns 0 or 1 for all numeric x other than -1/2 and 1/2. HeavisidePi[x] is equivalent to . HeavisidePi can be used in derivatives, integrals, integral transforms and differential equations.